Written by Brook Reilly. February 9, 2014. As I turned my heat up last night...I predicted what my facial expression would be when I received my next gas bill for the heat I used...it was not pretty. If you want to save some extra money on heat this winter, try some of these tips. Remember, Reilly Painting & Contracting is doing roof ice removal, ice dam removal and roof ice dam prevention this month, so be sure to give us a call so we can add you to the list! Use ceiling fans to your advantage. Homes that have better ventilation and airflow can be more energy efficient in the summer and winter months. If you have ceiling fans in your apartment, you have more control over ventilation than you know. Get a humidifier to add moisture to the air. The air inside your home can become very dry. Moist air feels warmer and holds heat better, so a humidifier can help you feel comfortable when your thermostat is set at a lower temperature. 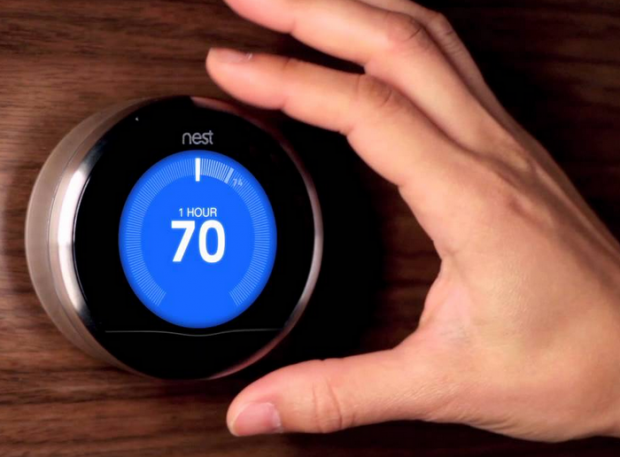 You can also invest in a Nest Thermostat. Read our blog for more details, and remember we can come by and install it for you, and show you how to sync up to your smartphone or tablet! Tags: ice dam removal, Nest thermostat, roof ice dam prevention, roof ice removal, save money heat.